Auto racing is one of the most popular sports in the United States, and NASCAR is the premier league for professional drivers. NASCAR events have penetrated American popular culture to the point where Danica Patrick, one of its most successful competitors, was ranked one of the Top 7 female athletes in America in 2017. To put this into perspective, a NASCAR driver was searched more than superstars like Kobe Bryant, David Beckham and more. 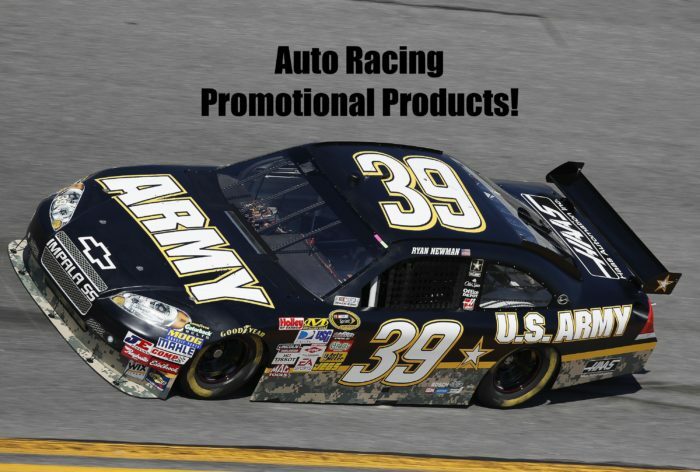 A small business looking to capitalize on the NASCAR craze can easily implement a promotional advertising strategy to attract new customers using custom automotive themed giveaways. With important races like the Daytona 500 taking place in the spring, marketing managers can distribute promotional products with themes of specific teams and drivers. For example, a logo tote bag could feature a slogan like “Good luck at the Indianapolis 500!” a water bottle could say something more general like “NASCAR fans are the best!” or bright colored t-shirts could proclaim ‘The fastest cars and (Your Company Name) will see you at the Finish Line”. As with every promotional campaign, business owners should make sure to provide quality gifts that stay within legal boundaries. While the NASCAR logo or likeness cannot be duplicated without express consent, images of racecars and other themes are perfectly acceptable. Using the right message combined with amazing promotional items from Myron, your company can broadcast a desirable brand image during the NASCAR season.